Born at Portadown, Northern Ireland in 1873, where he received his early education, he attended Trinity College Dublin then began teaching school and held several headmasterships in England prior to coming to Canada in 1911. 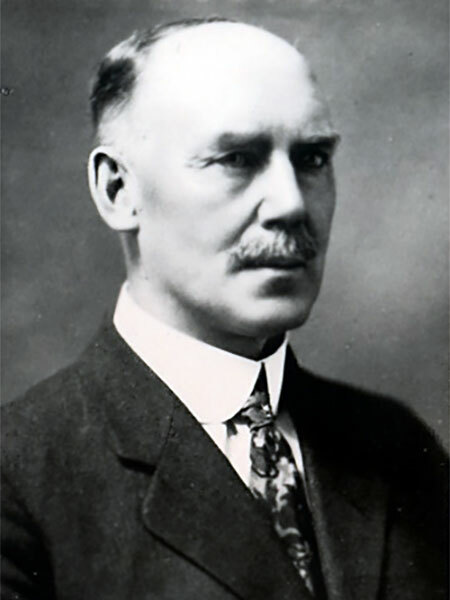 The next year, he was appointed Principal of the Alexandra School in Brandon and, in 1914, became a School Inspector based at Deloraine. He held this position until his retirement in January 1940. An active Mason, he was a life member of the Northern Light Lodge and was Grand Master for Manitoba in 1930. He died at Winnipeg on 25 April 1952 and was buried in Brookside Cemetery. Father of Alys Danton Hunter “Alice” Robertson. We thank Nathan Kramer and Curt Belton for providing additional information used here.